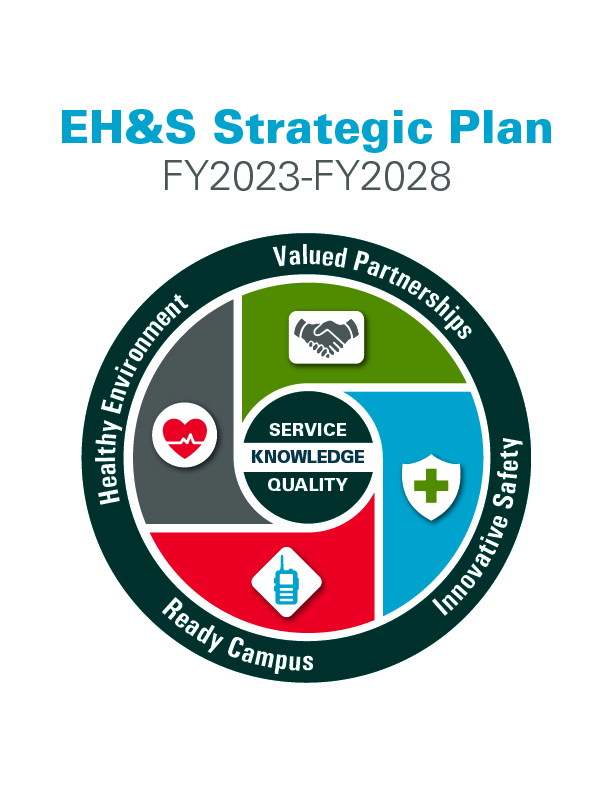 The Department of Environmental Health and Safety (EH&S) has been providing environmental, occupational, heath, and safety services to the Iowa State community since 1972. A safe and sustainable campus, community, and world. Prevent illness and injury, protect the environment, and connect the university to the message of safety and preparedness. We are a service-oriented department committed to professionalism through friendly and helpful interactions. We strive to provide quality and timely service. We seek to continually expand our knowledge in order to provide accurate and relevant information. EH&S values the ideas and viewpoints from all people and chooses to recognize each employee’s unique gifts and talents. Iowa State celebrates and advances diversity by creating a safe place in which people can express themselves freely and share their unique talents. This diversity of talents enriches our campus by fueling creativity, innovation, and success. The rich diversity of our staff encourages the conception and development of unique ideas, extraordinary insights, and innovative strategies for solving problems. This diversity of perspective and practice are critical to the excellent service we provide each other and the students, faculty, and staff at Iowa State University. ISU Faculty, Students and Staff - there is a $5.00 fee to park if you do not have a current ISU parking permit. If you plan to drive, please ensure your vehicle has the current ISU parking permit displayed. Permits can be obtained by clicking here. EH&S will not issue visitor parking permits. If you do not have a current ISU parking permit, you can park in a metered space and pay to park. Non-ISU Visitors - there is a $5.00 fee to park in an ISU parking lot. Permits can be obtained by clicking here. EH&S will not issue visitor parking permits. If you choose not to get a permit, you can park in a metered space and pay to park.